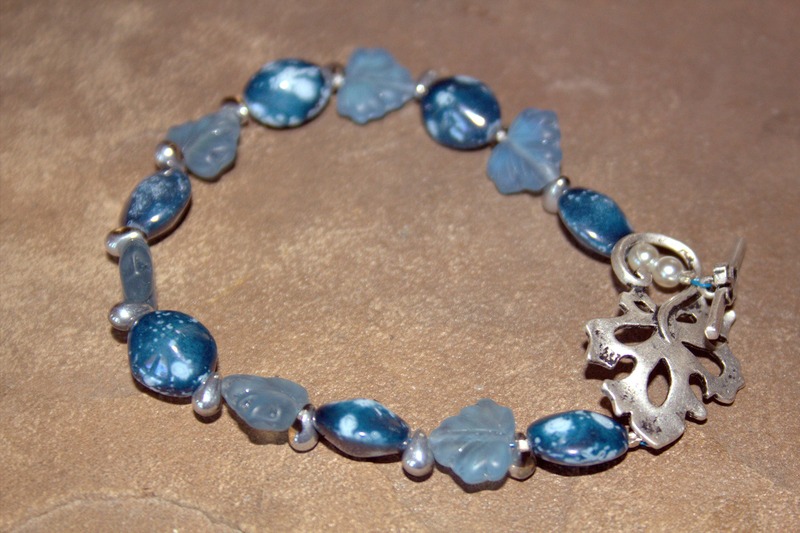 Autumn Blue is a bracelet made from shades of soft blue glass leaves, denim colored Czech glass beads and light blue Swarovski crystals. 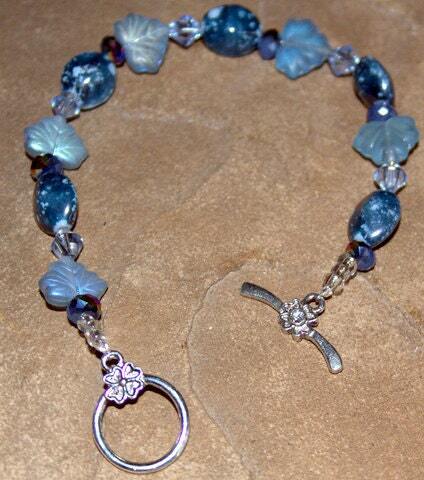 It has a silver toned, flowered toggle clasp with a clear crystal and fits an average wrist 7 1/2". Looks great with jeans or more dressy attire.